Alex and Stefan created the perfect place for travellers who want to enjoy this beautiful lart of Montenegro. Super hostel. Alex is really cool, and helpful. 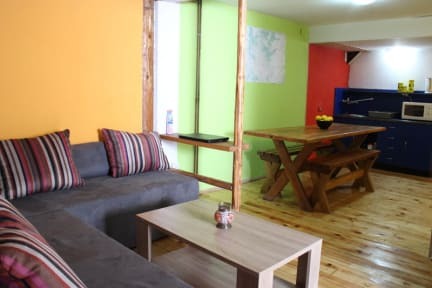 I highly recommend you a stay in this hostel. Managers were very welcoming and helped us to organise the visit of the park and a canyoning. Très content de mon sejour. J'y retournerai volontiers. The staff was absolutely amazing. Super accueil et de très bons conseils pour les escapades et randonnées. La chambre double est correct malgré les caches misères dans la salle de bain privative. 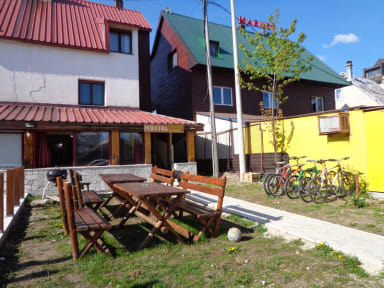 L'hostel est parfaitement situé dans le bourg de Zabljak. Had a really great time there, definitely a place to hike and meet nice people at the same time ! Facilities were good and the bed dorm aswell. Alex and Stefan gave is plenty of informations and advices about the hikes around.